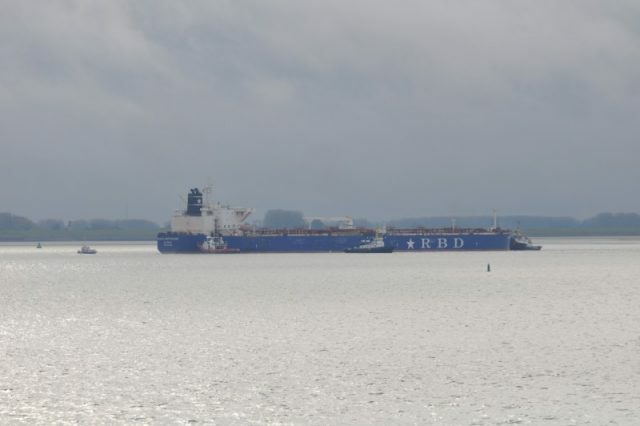 The 244 meter long, 107505 dwt tanker Maria Bottiglieri ran aground on the Western Scheldt near Borssele, Netherlands. The tanker was headed for Antwerp from the United States when it suffered a mechanical failure and ran aground. Fully loaded, the Maria Bottiglieri was unable to refloat itself and requested assistance. Three tugs were dispatched to the scene and were able to refloat the tanker a few hours later. The Maria Bottiglieri was escorted to a nearby anchorage for further inspection. No reports of injuries, damage or pollution released.